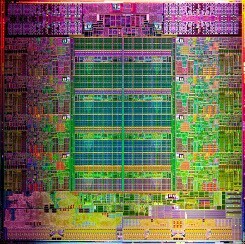 Just a few days ago, Intel finally announced its new and upcoming Ivy Bridge family of processors. Well one of the things that is often ignored about CPU's in general is the server designed chips. Well finally Sandy Bridge is heading to the server. They are bringing things up to speed by introducing the Sandy Bridge-based E5-2600 family of CPUs. The company claims its latest processors outperform the previous generation of Xeons by up to 80 percent in raw speed, while improving per-watt performance by 50 percent. The eight-core chips support up to 768GB of RAM, PCI Express 3.0, Hyper-Threading, Turbo Boost, Intel Virtualization -- basically the whole shebang. A grand total of 17 different Xeons will be available, ranging in price from $198 to $2,050. SANTA CLARA, Calif.--(BUSINESS WIRE)--Addressing the incredible growth of data traffic in the cloud, Intel Corporation announced the record-breaking Intel Xeon processor E5-2600 product family. These new processors deliver leadership performance, best data center performance per watt1,4, breakthrough I/O innovation and trusted hardware security features to enable IT to scale. These processors are not only at the heart of servers and workstations, but will also power the next generation of storage and communication systems from leading vendors around the world. "For businesses to capitalize on these innovations, the industry must address unprecedented demand for efficient, secure and high-performing datacenter infrastructure. The Intel Xeon processor E5-2600 product family is designed to address these challenges by offering unparalleled, balanced performance across compute, storage and network, while reducing operating costs." Intel (NASDAQ:INTC) is a world leader in computing innovation. The company designs and builds the essential technologies that serve as the foundation for the world's computing devices. Additional information about Intel is available at newsroom.intel.com and blogs.intel.com. 2 (Generational Performance) Source: Performance comparison using best submitted/published 2-socket server results on the SPECfp*_rate_base2006 benchmark as of 6 March 2012. Baseline score of 271 published by Itautec on the Servidor Itautec MX203* and Servidor Itautec MX223* platforms based on the prior generation Intel® Xeon® processor X5690. New score of 492 submitted for publication by Dell on the PowerEdge T620 platform and Fujitsu on the PRIMERGY RX300 S7* platform based on the Intel® Xeon® processor E5-2690. For additional details, please visit www.spec.org.16. 7 (Data Storage) Source: "IDC Worldwide Enterprise Storage Systems 2010-2014 Forecast"
9 (AVX) Source: Performance comparison using Linpack benchmark. Baseline score of 159.4 based on Intel internal measurements as of 5 December 2011 using a Supermicro* X8DTN+ system with two Intel® Xeon® processor X5690, Turbo Enabled, EIST Enabled, Hyper-Threading Enabled, 48 GB RAM, Red Hat* Enterprise Linux Server 6.1. New score of 347.7 based on Intel internal measurements as of 5 December 2011 using an Intel® Rose City platform with two Intel® Xeon® processor E5-2690, Turbo Enabled or Disabled, EIST Enabled, Hyper-Threading Enabled, 64 GB RAM, Red Hat* Enterprise Linux Server 6.1.16. 10 (World Record Performance) Source: Best available submitted/published performance benchmark results on 2S x86 server platforms as of 6 March 2012. For a full summary of world record performance results, please visit www.intel.com/content/www/us/en/benchmarks/server/xeon-e5-2600-summary.html. For additional details, please visit www.spec.org, www.sap.com/solutions/benchmark, www.vmware.com/a/vmmark, and www.tpc.org.